These are on the swamp milkweed (Asclepias incarnata) in the prairie beds. They are camera shy, moving to the other side of the pods when I got too close. Because of this I couldn't use the macro lens. I've always liked seeing "families" of bugs like this on the Asclepias. 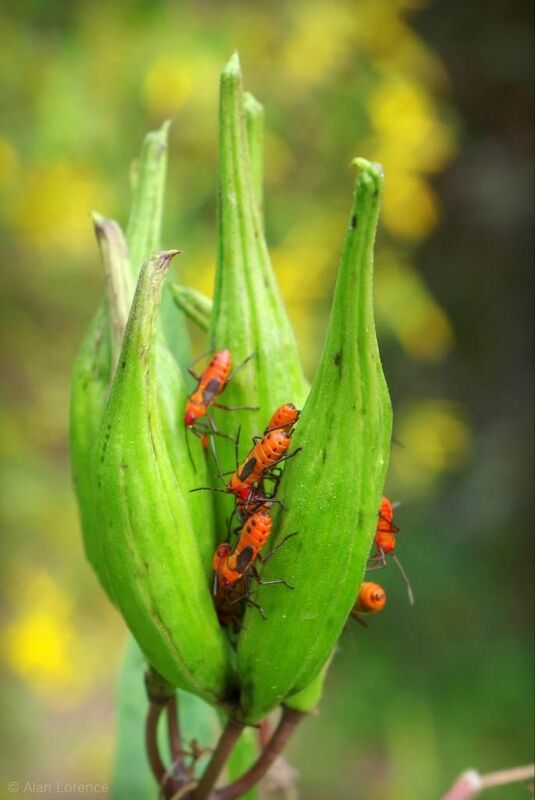 When I had butterfly weed (Asclepias tuberosa) I'd see these bugs all the time. 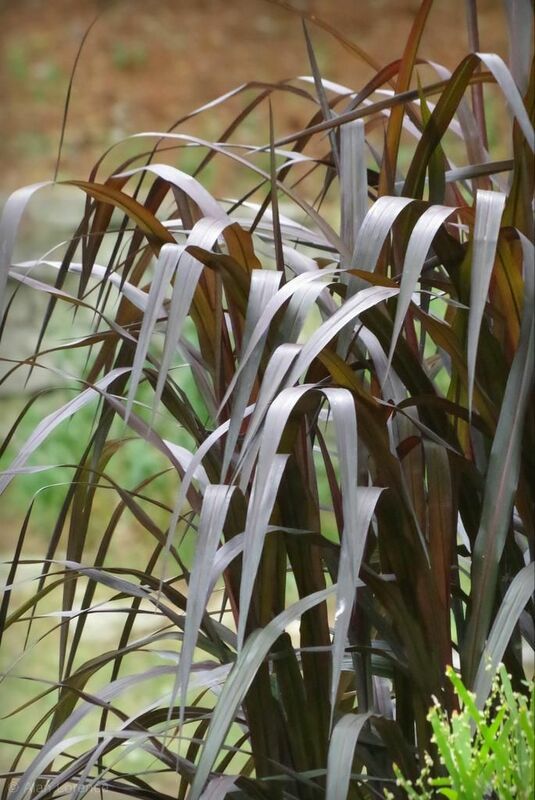 How could you not love this "Vertigo" grass? 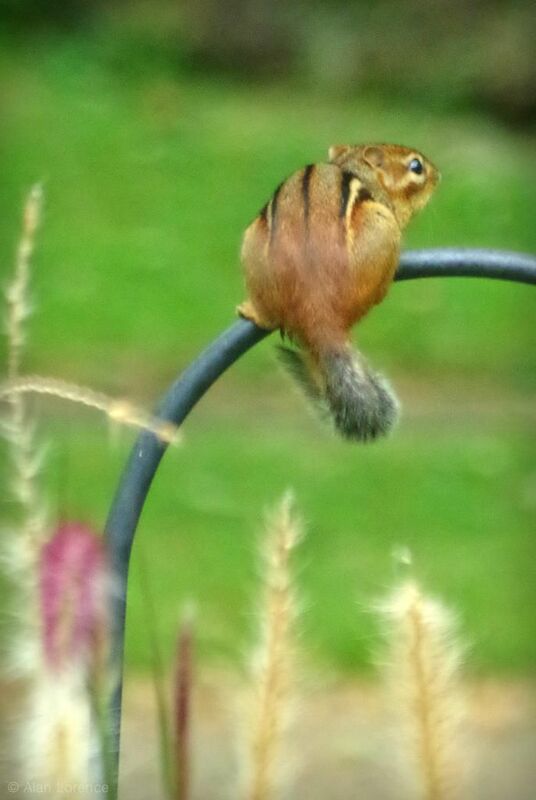 ...is the chipmunk that has learned how to defeat the baffle that I installed on the front bird feeder! I wondered how he managed it, but then saw him climb the nearby support post that I installed a couple of weeks ago to tie up some flopping plants. Then he jumps to the top of the baffle, climbs the shepherd's hook and fills his cheek pouches. Grrr. Which type of swallowtail is this? I'll really miss the bananas this winter. Sigh. Ah, I sure do love late summer! Remember that I said that posts would be shorter for a week or so. I also may not be responding to comments in a timely manner. 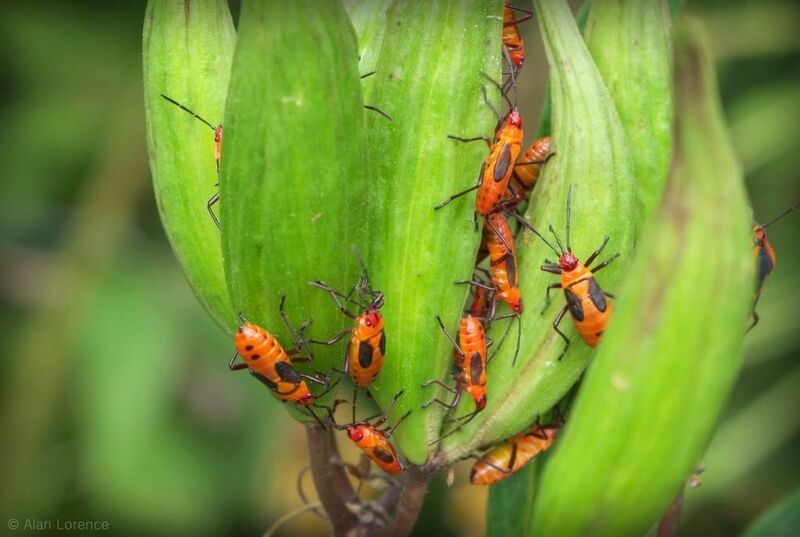 Those milkweed bugs looks sinister! The milkweed bugs are so bright and colorful and that chipmunk is adorable! Mark/Gaz: they do a bit, don't they? They're cuter when they're younger. 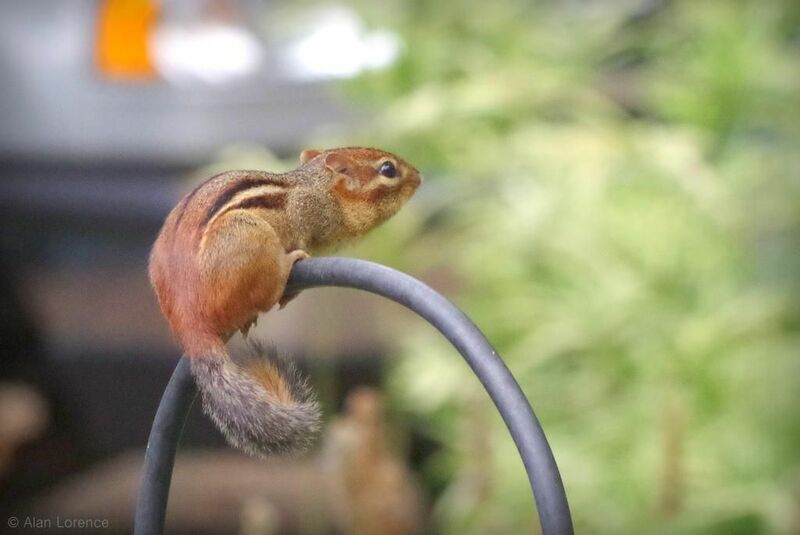 Peter: Adorable until you watch it make a dozen trips in a row to empty the feeder. Grrr. 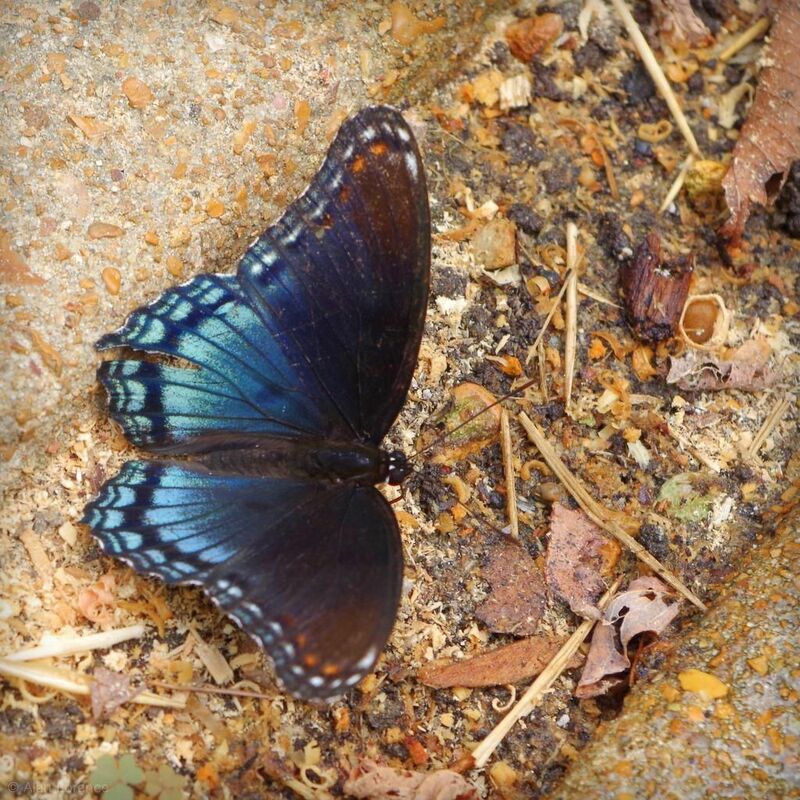 Looks like you've a great photo of a red-spotted purple. The male will really put on a performance when trying to attract a female. They love a small plate of rotting peaches or bannanas and will come from all over to inbib. They and the Eastern Tiger Swallowtail will pupate on the plant or in the litter around your swamp milkweed. I was ripping out some SMweed in an area and discovered an ETS caterpillar that had just turned purple; their final larval stage. I moved it to some leaf litter that would not be disturbed this fall as they sometimes winter over. 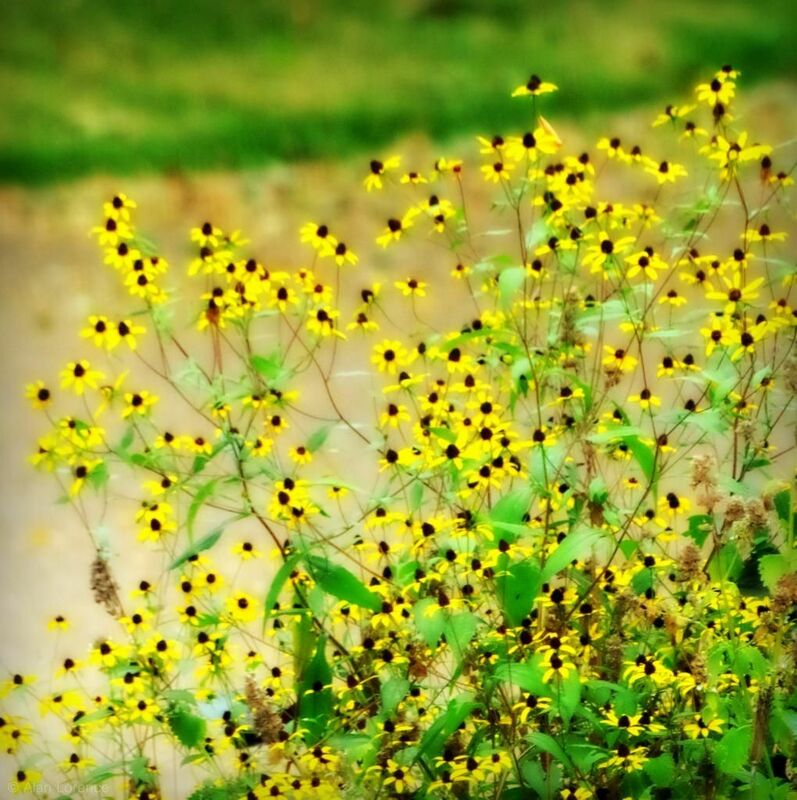 Thanks for taking the time to share your gardening activities. I find them to be very inspiring and informative. J: Thank you for the butterfly ID. I probably would have gotten it if I had gone through my entire butterfly book, but it's not available to me right now. I might try the rotting fruit -- as long as I can keep it away from the raccoons! Yes, how we all love late summer. It means we have all made it through another dry scorcher. 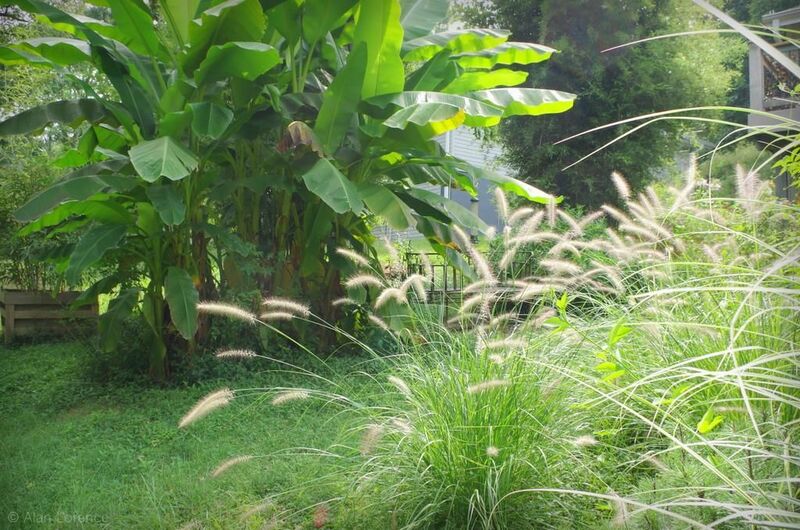 I love that grass too. I must find some for next year. I am going to try the rotted fruit feed too.